For all the latest in movies, music, games and accessories, make your way to Musica! As the largest retailer of music and related entertainment merchandise in the country, Musica offers the biggest range of entertainment products, including DVDs (music and movies), gaming (including computer games), technology and accessories (headphones portable speakers, phone and tablet covers, docking stations and tablets) and MORE! You will also collect up to 1.25% back in rewards points based on your Tier. You can redeem your rewards points in-store with your activated UCount Rewards Card. Simply swipe your UCount Rewards Card and enter your selected PIN. 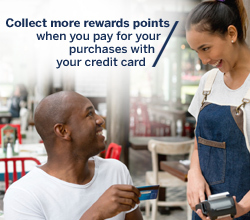 If you don’t have enough rewards points to pay for your purchase in full, you can use your Standard Bank personal Credit, Cheque or Debit Card to pay the difference. NOTE: You must activate your UCount Rewards Card before you can redeem your rewards points at Rewards Retailers. If you haven’t yet activated your UCount Rewards Card, you can do this online, or by calling the UCount Rewards contact centre on 0860 UCOUNT (82 68 68). Your rewards points cannot be refunded back into your UCount Rewards Card if you return goods that were purchased with your rewards points – you will be refunded with a Musica gift card or according to Musica’s return policy. Redemption is limited to 200 000 rewards points (R20 000) per month. Rewards points can only be redeemed in South African Musica stores.